Demi Lovato showed off some major pipes in her brand-new cover of Hozier's "Take Me To Church" for BBC Radio 1's Live Lounge. 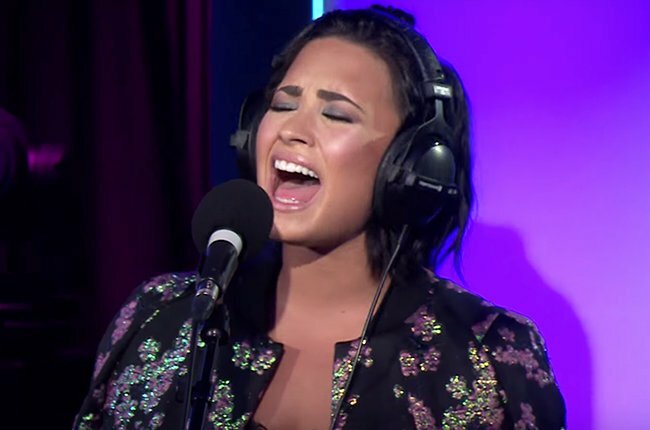 Demi Lovato took her vocals to a brand new high while covering Hozier's Take Me to Church in the BBC Radio 1 Live Lounge. In an interview before the cover, Lovato recalled being blown away by the song right off the bat. And it's not your typical pop song -- in fact, it doesn't sound like a pop song, but the term 'pop' means popular, so it is a pop song. I think I even tweeted, 'Thank God that somebody put this on the radio, because this is incredible music.'" Demi definitely understood the power of the tune!